Does anyone on here chase the longbeards with a black powder shotgun? Several years ago I had the chance to buy a MDM Tomwacka from a friend but I don't get it out very often. When I do though, it's pretty fun. 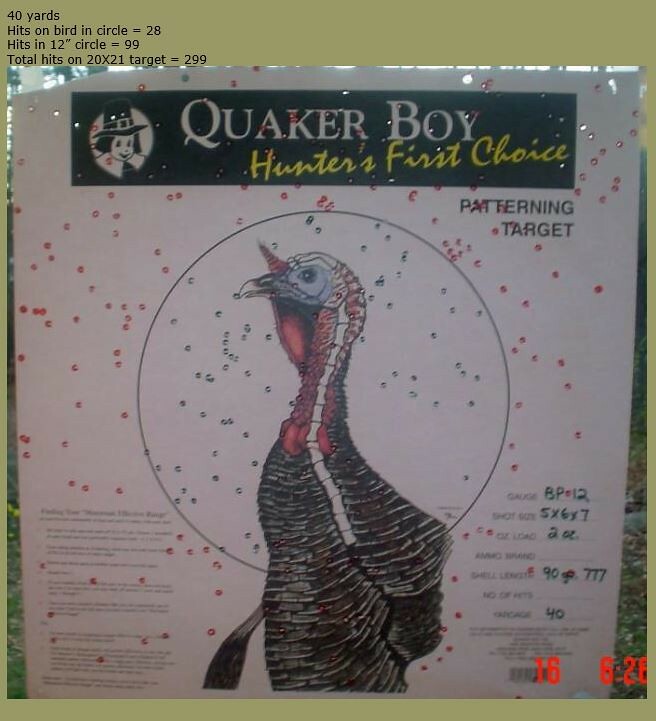 I've worked up 2oz lead tri-shot load that is spits out a unfair pattern Unfair as in it shoots better than some 12ga shotguns. 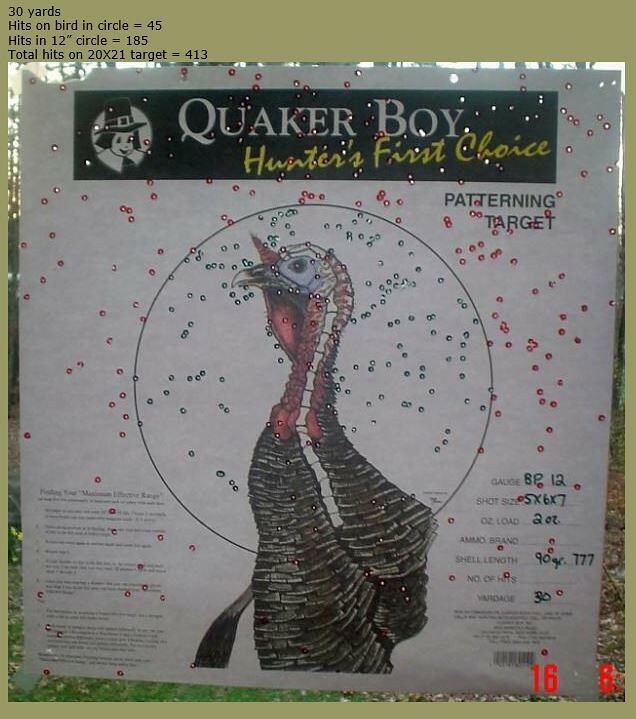 Never used a smokepole on Gobblers...very nice pattern at 20 yards! Dead bird for sure with that pattern. Did you use plain lead shot or plated? Any buffering? Haven't used a smokepole shotgun, but that's a heck of a pattern! Better pattern than I have seen on most all shotguns. Longbeards and a smokepole sounds like a lot of fun. All I use is a shot 90gr. of 777 with 2oz of 5X6X7 shot plain lead out of a Kick's tube. 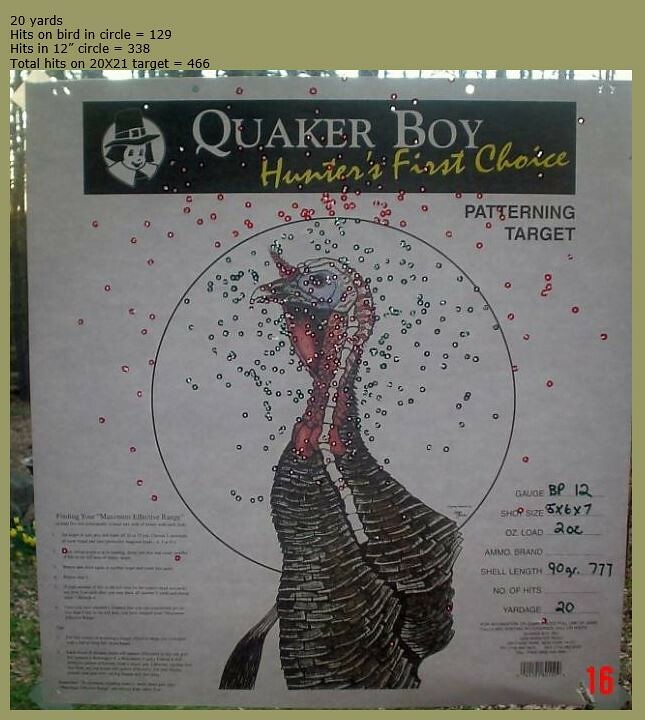 Here's are the 30yd and 40yd patterns along with it in the field. Been wanting to try it since I saw Jimmy Primos kill a turkey with it in one of the Truth videos many years ago. Maybe someday if I happen to stumble upon on I'll pick it up. 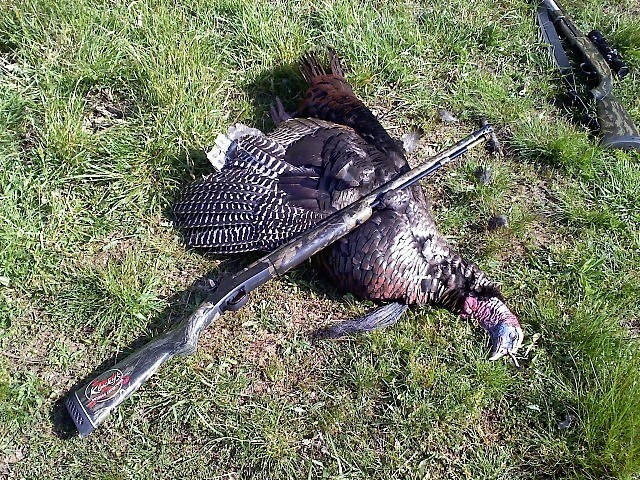 Right now I have at least 4 guns patterned for turkey as well as a few crossbows I like to hunt with. To many options and only one bird per spring season. I've got some research to do on a smoothbore flintlock and might be asking you a few questions Flintlock1776. We have required a B. Turner 20ga at shop the other day and I'm seriously thinking of getting it. Price tag with several nice accessories is $999 but I was told if I wanted it, $725. The one in this link below looks exactly like it but minus the tacks in the stock. I'd really like to get the Charles Daly 512 in the link below but it's unavailable right now at all our distributors. Those are some great patterns from any gun! !